Amy discovered her passion for theatre and video in high school and followed this path at Ithaca college. She majored in television and radio with an emphasis in video production as well as minored in acting and dance. When reflecting on her passion career journey, Amy shares that she has had three completely different careers. So if you ever feel like you’re a multi-passionate person, you are not alone. After graduation Amy created video art for live shows for an NYC experimental theatre group called The Wooster Group. Next, she worked as an assistant producer and was then promoted to producer. She never shied away from challenges or learning new technology. However, when the company dismantled, she found herself unsure of her next career move. In what she called a ‘soul searching moment,’ she realized that she was less concerned with her job title and more worried about what her career would mean for her happiness. Amy left NYC and moved to India where she discovered her passion for teaching others. She took this passion into another career shift with Teach for America in New Orleans. After a couple years, Amy felt herself ready to move in another direction. She decided to return to school for her masters in library and information science. When a biotechnology startup asked her to build their library within the company, she jumped at the opportunity and excelled in the role for five years. During this time she thrived being in an intellectual environment and learned even more about herself. But she missed her creative roots, which brought her full circle to launching her own improv theatre. Now, as the founder of Finest City Improv in San Diego, Amy leads a team, produces shows, offers workshops and delivers improv training for businesses. Amy gets to share her passion for improvisation and how it influences all areas of our lives— mainly, to approach life with the “yes! and…” mindset. “The tools of improv help to create courage and joy,” said Amy. 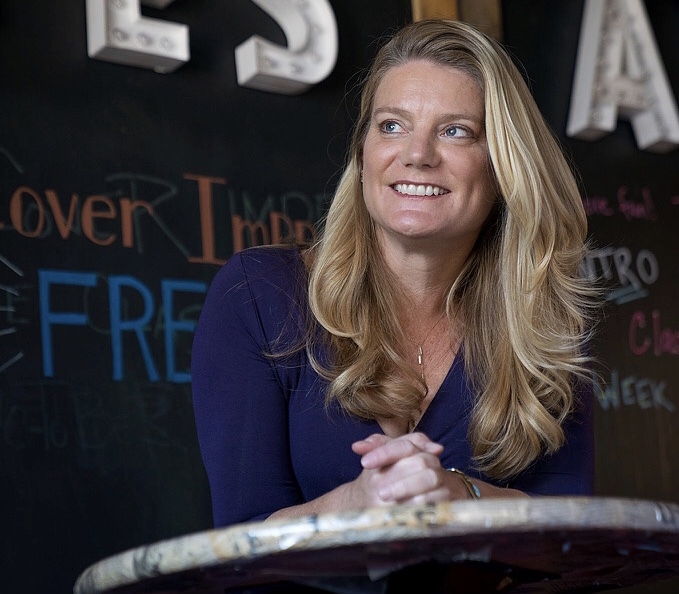 Throughout her entrepreneurial journey, Amy has realized that she can’t do it all alone. She places a strong focus on building and leading her team. Pause for a moment and consider your ensemble . Then listen in to discover how you can bring the “yes! and…” mindset into your life. Download our podcast interview with Amy here on iTunes! Once you’re inspired by Amy’s story we would love to read your review. Thanks so much!